Marouane Fellaini was spotted leaving Paris Saint-Germain’s team hotel in Belgium on Tuesday, as per reports. 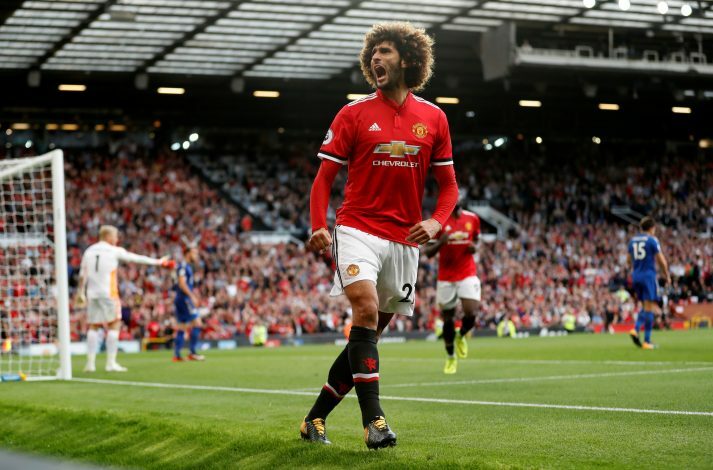 Fellaini is currently out of action because of a knee injury which he suffered during Belgium’s 4-3 victory over Bosnia-Herzegovina in the World Cup qualifiers earlier this month. The midfielder has since been receiving treatment at the Antwerp clinic, which is run by Belgium’s national team physio, Lieven Maesschalck. The star has been vital in United’s dominant start to the season, but his recent actions seem to have ignited rumours which have caused the Red Devils’ fans to switch to panic mode. As per The Sun, the Belgium international was spotted leaving Ligue 1 side Paris Saint-Germain’s team hotel in Belgium on Tuesday evening. PSG are currently staying in The Hotel in Brussels, ahead of their Champions League clash against Anderlecht on Wednesday night. It was reported that the Belgian quickly attempted to flee the crime scene by covering his ‘distinctive hairstyle under a large hat’, but was still identified by TV crews and photographers. The player was swarmed by reporters, but he refused to speak and drove off in his car. Fellaini’s current United contract expires next summer, and a new contract is yet to be discussed. The 29-year-old, who celebrates his birthday next month, wants a long term deal at Old Trafford, but the club prefers to offer rolling contracts to players above 30. Meanwhile, PSG are keen to add substantial firepower to their midfield, and could target the out-of-contract Belgian next summer.